The Dragonfly pendant offers a simple, mild and chic look, the perfect combination of form and function. 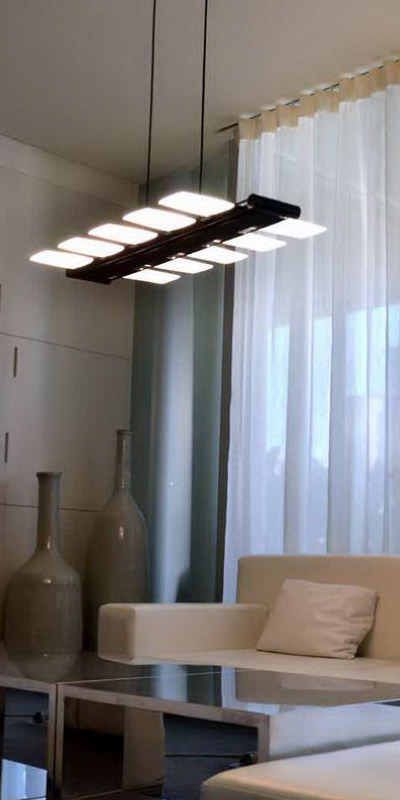 Blades are affixed to a central aluminum frame to make the light fixture balanced and organized. Depending on the room size and brightness demands, can choose from 4, 8, 16 blades.